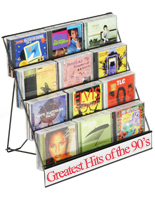 The Counter Top Displays are Able to Present Magazines as well as CDs. 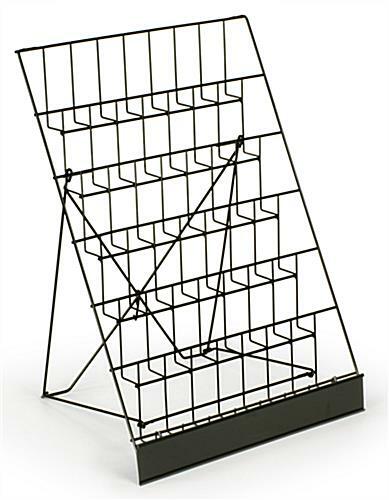 There are Multiple Shelves to Showcase Multiple Items on the Same Holders. The Counter Top Displays Work Well on Cash Wraps and Other Counters to Tempt Consumers. Six compartments are available with the purchase of the metal holder! 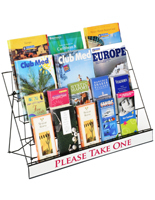 Stand is not only affordable, but also very versatile becuase of it ability to hold many different items. Shelving on the unit is open to accomodate different items for purchase. 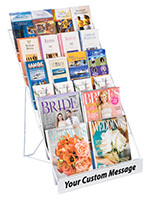 These counter top displays increase point of purchase sales! 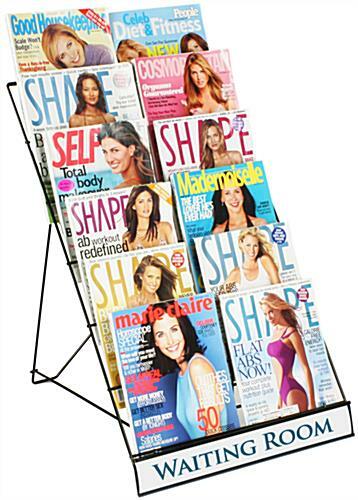 The racks that are great near entrances and exits stimulate sales done through an impulse! 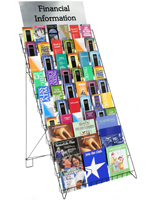 These adaptable wire stands, counter top displays hold books, magazines, CDs, DVDs, brochures, or other products. The racks that save space are portable. 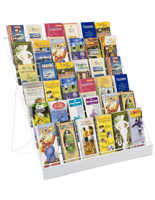 Counter top rack products, also known as merchandise stands, are perfect for use in gift shops, grocery stores, and other retail settings. 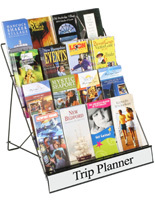 These affordable metal stands have 6 compartments that measure 2-1/2" deep. 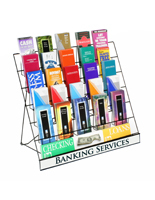 These counter top displays are lightweight and constructed of durable, black wire with a glass finish. There is a sign plate at the bottom tier of the stand. 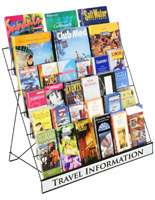 The counter top displays can use signs that measure 18"w x 2-1/2"h for use in the channel slot. A custom printed message is not available from us for that purpose. The counter top displays that show a "Waiting Room" sign in only one example of how your custom signage might appear. 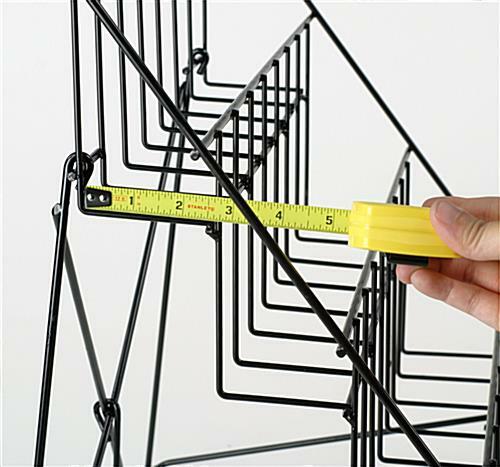 18.0" x 31.0" x 19.8"
18.0" x 5.5" x 2.5"